We have a range of special products for juice, for dessert, with or without post-harvest treatment, with or without leaves, in bags, and organic products, etc. 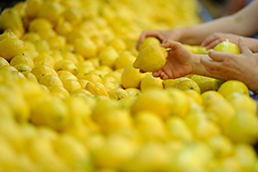 Our group packages fruit in its preparation centres in Spain, in accordance with the specifications of each one of our clients, for subsequent export to the main markets. 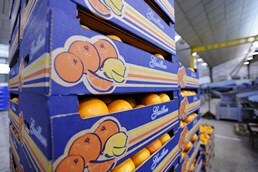 Although Spain is the main place of origin of our products, to be able to guarantee permanent, quality service to our clients throughout the year, and in order to supplement Spanish supply and offer fresh products throughout the year, we have established agreements with production companies in the southern hemisphere (Argentina, Uruguay, Morocco and South Africa).